It's a gorgeous morning here in Texas, and I'm blogging from our back porch. These kinds of mornings are few and far between so I'm loving it. I was up and at 'em for Pure Barre early this morning again, and tonight is the official grand opening party for the studio I attend, so I'm looking forward to that. And also pretty pumped about doing a massive clean out of our attic this weekend. My age is showing on that one. I'm linking up with The Good Life blog for another Five on Friday! I made no serious attempts to give up Diet Coke this week. One day I switched to Dr. Pepper, but that's only because the Taco Casa doesn't carry DC, and I am firmly opposed to Diet Dr. Pepper. I absolutely LOVE two years old. I wish I could just bottle this time up with our little guy. Everyone tells me the terrible twos are a fallacy--that it's really the threes that are nuts. I would love for anyone to chime in and tell me their child's threes weren't bad either. Anyone? 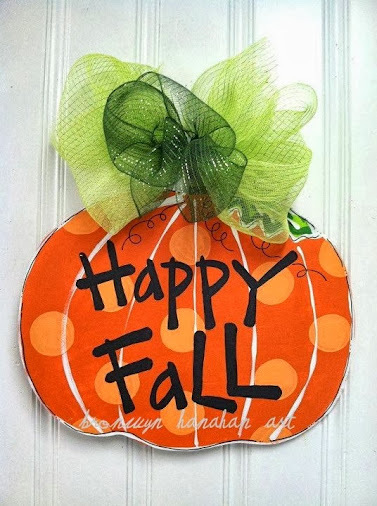 I finally made an attempt at decorating for fall and put out my Bronwyn Hanahan front door decor. If you're looking for something fun for your home, she has super cute things. I'm thinking of getting a Happy Birthday cupcake since February will be such a big birthday month at our house! Both my kids were born in that month. My church is having a Pinterest craft day, where several ladies pick out a craft, and others sign up to come make them. You pay $10-15 and all materials are purchased and ready to go that morning. 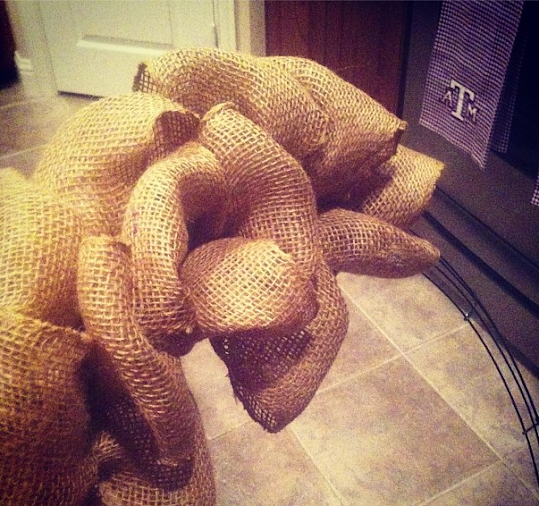 I'm leading a craft, and we'll be making a burlap wreath. I started making my mock up last night, and I'm pumped about it! I think we'll be adding some Christmas decorations to it, but ultimately, I want it to be re-usable for all seasons. I bought too big of a wreath form so I don't have the finished product yet. I got a Vox Box from Influenster this past week and will have some reviews coming up. I was really impressed with the first product I tried! If you haven't signed up for Influenster, check it out!